The sensor can be submersed into a liquid, typically into a tank. 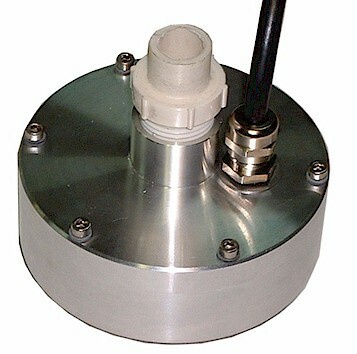 The sensor measures quality and consistency via refraction, rotation and intensity from the liquid optically. 2 light flashes are used to measure refraction. 2 different colored light flashes are used to measure rotation. 1 light flash is used for intensity. The results of these measurements and calculations for the above properties are sent to the output.